Embracing the very latest cooking technology and user-friendly features, all Panasonic Microwaves have been expertly developed to offer exceptional cooking performance and functionality, in a wide range of kitchen environments. 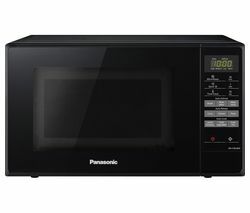 Within our Panasonic Microwave range you will find a wide choice of high quality, high performance models including the Panasonic NN-SD27HSBPQ Solo Microwave - Stainless Steel, the Panasonic NN-E281BMBPQ Solo Microwave – Black, the Panasonic NN-DS596BBPQ Combination Microwave – Black and the Panasonic NN-CT555WBPQ Combination Microwave – White. Boasting a number of innovative features including automatic cooking programs that have been developed to make home cooking easier than ever before, all you will need to do is enter the weight of the food you are cooking and the microwave will do the rest for you! Featuring as many as 6 power levels, you will also be able to enjoy outstanding power and performance when it comes to cooking your favourite meals. Many of the models within this collection also boast lower settings for less intense heating, giving you the versatility to cook and heat a wide range of foods and ingredients, in a way that works for you. 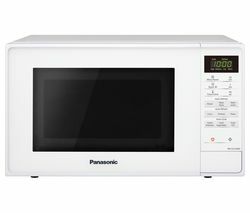 Designed to meet the demands that often come hand in hand with everyday cooking, some our Panasonic Microwaves also come complete with a large 27 litre capacity, meaning you will be able to cook and heat large family meals, quickly and easily. 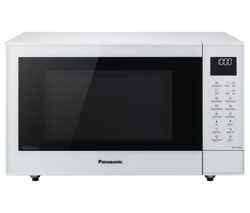 So if you’re looking for a Panasonic Microwave, you have certainly landed in the right place! But that’s not all…all of our Panasonic Microwaves also feature a sleek, seamless design that will not impose on the look and feel of your kitchen décor. Available in white, black and stainless steel, every model will allow you to prepare delicious meals in a matter of minutes. 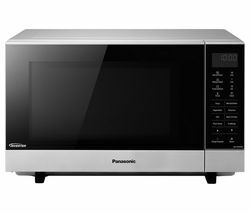 Trust us, there really is a Panasonic microwave to meet the lifestyle demands of every household. And if you can’t find what you are looking for in our Pansonic range, why not check out our samsung microwaves and Bosch microwaves. ?